We specialize in New Orleans style flavored snow cone syrup and concentrates, including the top Latino flavors. 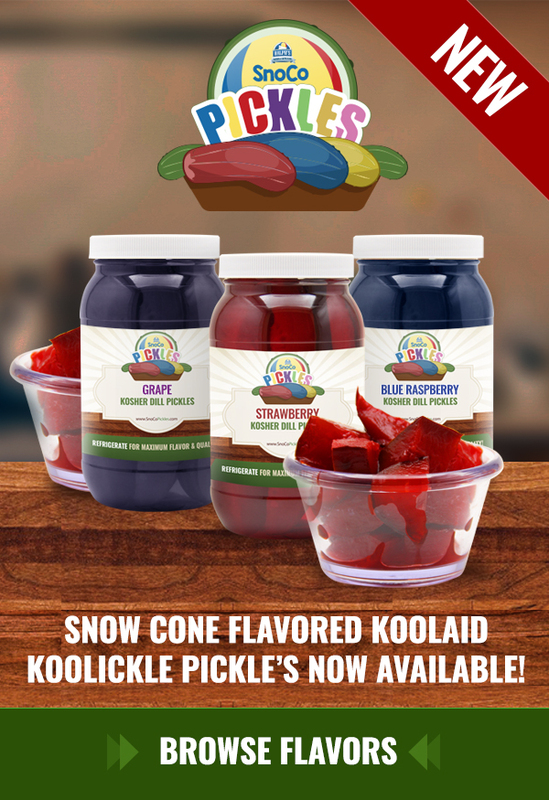 We are also proud distributors of some of the finest manufacturers of snow cone products in the country, currently offering Ralph's Snoballs, Sno-Ball, Tasty, and Parasol. Our own brand of snow cone syrup and concentrate is produced at an affordable price and we pass the savings along to our customers.